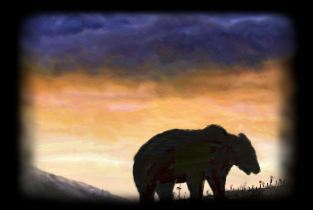 All painting's were created free hand with Paint Shop Pro 6 & 7 and a Wacom tablet. Just Click on Gallery to start and sit back, relax, and enjoy! Check out the Animated Saves and watch as a painting develops. Also take a look at the Lake, Snow, and Cloud Applets in the Applets section. Let me know if you enjoyed your visit. All comments or constructive criticisms are welcome. Come back again to check for the latest.